Hi friends! I have a fun outdoor kids’ project to share with you today! 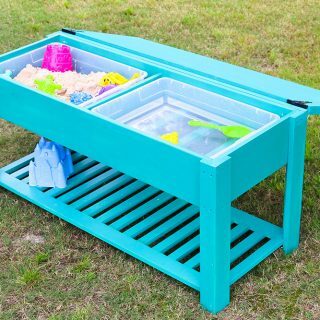 My kids have been asking me to build them a sand and water table for the longest time and because I am Mother of the Year, it only took me a year and a half to finally fulfill their incessant, pleading patiently-awaited request….